Canadian duo Purity Ring were a pleasant surprise, delivering an addictive set of electro pop on this drizzly eve. Serving as Corin Roddick's Born Gold (formerly Gobble Gobble) side-project, he clunked on a bizarre MIDI controller straight out of Terry Gilliam's Brazil, made from PVC piping and wood. Roddick kicked it into high gear when he touched his Akai MPD, fiercely attacking touch pads with his mop top floating like the dog on the cover of Odelay. Halifax vocalist Megan James serenaded the crowd intimately, pulling them in closer a couple songs into Purity Ring's set and taking her crooning to a tribal fervour as she added timely pulses on a raised, backlit drum. All the while, Roddick tastefully glitched her vocals and the instrumentals. They were into it, and sucked all onlookers in with them. New Jersey's Seth Haley, who performs as Com Truise, proved that he knows his way around a synthesizer with his stellar retro-futuristic debut Galactic Melt. Yet, he didn't show many of those skills live. Much of the music was preprogrammed, as Haley worked the short-sell on a few knobs and buttons controlling obscure FX mostly buried in the mix. A live drummer provided the majority of the live aspect, giving a nice kick to Haley's sci-fi-indebted compositions. Great as it was to hear Haley's refined aural aesthetic pounding through one of the best sound-systems in Vancity, he was somewhat lacking in the visuals and risk departments. The hipsters were in full force by the time Texan chillwaver Neon Indian hit the stage, the project's retro lo-fi pop sending ripples of flannel and grandpa sweaters jerking Urkel-esque across the dance floor. Four other players joined principal composer Alan Palomo onstage, and unfortunately, most of them had vocal mics. 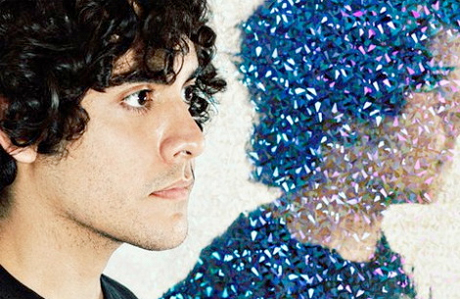 None of them could sing very well, none worse than Palomo himself, which is especially frustrating considering Neon Indian does not need vocals. They came armed with a barrage of classic synths, such as a Roland Juno-60 and a Korg MS-20, with a Prophet '08 to boot, and their drummer was top drawer, almost bouncing off his stool by the force of his tenacity. The project may have many worlds of sound at their disposal, yet Palomo confusingly insists on being a lead singer despite his utter lack of tonality, his attempts at deep tones failing into weak moans. Luckily, his voice was often ignorable in the mix, allowing the various sonic textures to melt '80s nostalgia before our ears. There is a certain genius in Palomo's compositions, but his taste level is often questionable.